The governing body explained the welcome shortfall by saying that better-paid players had tended to pick up less serious injuries. “Although statistically the number of claims was in line with the claims experience of the 2011-2014 cycle,” FIFA said, “the very positive pecuniary claims experience since 2015 is in particular because players with higher salaries had considerably shorter temporary total disablement periods than players with lower salaries”. The occurrence of serious injuries was especially low during the Russia 2018 World Cup, with FIFA saying that the tournament “delivered an extremely positive claims experience”. It is interesting to speculate whether these trends are connected in part to attempts in recent years by the authorities to clamp down on dangerous play. The governing body also released statistics on the type of injury covered in the last cycle by the scheme, which was designed to remove a longstanding bone of contention by compensating clubs when players they employ are injured on international duty. These showed that more than 43% of these injuries were to the knees of the players concerned. This was by far the most affected body part, followed by thighs (12.3%) and ankles (9.6%). 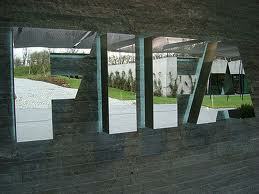 FIFA put the overall number of cases for 2015-18 at 220. As at December 31, 163 of these had been settled, with 57 in process. The maximum capacity of the CPP for 2019-22 is set at €80 million per annum. Actual compensation terms remain essentially unchanged from the original programme approved at the 2012 FIFA Congress in Budapest. Once again, the temporary total disablement of a player accidentally hurt in an international match can trigger payments capped at €7.5 million per claim. The amount insured is the player’s annual fixed salary, with a maximum daily amount of €20,548 for a maximum period of 365 days. FIFA recently revealed a change in the programme’s administrator, with QuestGates UK Limited managing it as of March 1. The salary structure of modern football means that, notwithstanding FIFA’s experience in 2015-18, the big West European-based clubs are likely to be the biggest beneficiaries of the scheme. Analysis of the first 80 CPP cases, contained in FIFA’s 2013 financial report, showed that no less than 98% of the money paid out to that point had gone to clubs in Europe, where the vast majority of the best-paid players in the world still play their club football. Of the first €27 million in compensation, no less than €26.4 million went to European clubs, with €400,000 going to clubs in North and Central America, and €100,000 each to those in Africa and Asia.